At Fort Berens, we offer a wide range of wines each with a distinct style. Over the years, we have been able to cultivate and refine our approaches in the vineyard and cellar and have expanded our collection to include a full series of small lot, ultra premium reserve wines which express the unique terroir of our region. We have currated for you here a quick reference to some food pairing suggestions that we think would work wonderfully with these wines. Food pairings: Enjoy with a stuffed roast chicken, potatoes au gratin, or for the ultimate luxury, lobster. Food pairings: Enjoy the Riesling Reserve with spicy Pad Thai, cheese fondue, or a rich and creamy Alfredo sauce over linguine. Food pairings: Red Gold is the perfect wine to pair with your finest cuts of beef or big game. Enjoy this bold wine with a well-marbeled porterhouse steak or hearty moose stew. Food pairings: While a fireplace is not required, it is certainly recommended while enjoying this wine paired with a fire-roasted tomato lentil stew, grilled salmon, or roasted duck. Food pairings: This wine pairs beautifully with lamb, duck, or tomato and basil pizza. Food pairings: Enjoy this wine with roasted lamb, spaghetti bolognese, or lasagna. 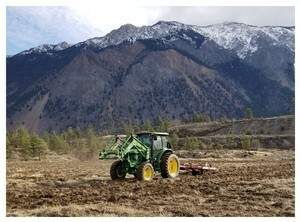 LILLOOET, BC – The results are in and Lillooet’s Fort Berens Estate Winery has some new awards to add to their growing list. Fort Berens won four awards in the second annual Best of BC Wine Country 2018 awards. The Best of BC Wine Country is a crowdsourced online survey curated by the BC Wine Institute, inviting the public to vote on their favourite BC wine experiences from a variety of "Best of" categories: Best of BC Wine; Best of BC Place; Best of BC Experience. Wine lovers voted for their favourites in each of the various BC wine regions, including the Okanagan Valley, Similkameen Valley, Vancouver Island, Gulf Island, Fraser Valley, and the new appellations (Thompson Valley, Lillooet, Shuswap and Kootenays). "The results show authentic recommendations from the public on what to do and where to go for the best wine touring experiences throughout BC's diverse wine regions, and we are thrilled to share their choices!" notes Maggie Anderson Director of Communications and Content of the BC Wine Institute. Click here for the full list of regional winners. LILLOOET, BC – The 2018 Canadian Culinary Championships, held recently in Kelowna, brought together eleven of the country’s top chefs for the prestigious Gold Medal Plates competition. The competing chefs participated in a series of tough challenges, including the Mystery Wine Pairing Competition. In the Mystery Wine Pairing Competition, Chefs were given a mystery bottle of wine and they were challenged to create a dish with local ingredients that best complemented the mystery wine in a set amount of time and with a set budget. Each chef then served this dish to 400 guests, who had the opportunity to vote on their favourite pairing of the night. While the competing chefs and guests were held in suspense until the end of the event, the suspense finally ended when it was announced that the mystery wine was the 2016 Pinot Gris from Fort Berens Estate Winery in Lillooet, BC. The suspense also ended with the announcement of the People’s Choice Award for the best food and wine pairing going to Chef Mike Robins from Sous Sol in Winnipeg. Chef Robins created a dish featuring cold smoked halibut cheek and Salt Spring mussels, juniper berry, chantrelle mushroom lobster bisque with parissienne gnocchi and cashew cream. Now that the mystery has been unveiled, wine lovers are invited to uncover the mystery for themselves. Gold Medal Plates is the ultimate celebration of Canadian excellence in food, wine, beer, athletic achievement and entertainment. Net proceeds from Gold Medal Plates are provided to the Canadian Olympic Foundation, which supports Olympic athletes and high performance programs. For more information, visit the Gold Medal Plates website. Fort Berens Estate Winery is a culmination of the dreams, vision and pioneering spirit of several entrepreneurs – Heleen Pannekoek, Rolf de Bruin, Hugh Agro, Sean Harvey, Jason Neal, John McConnell, Dan Barnholden and Patrick Downey. The eight owners of Fort Berens share a common belief in the incredible winemaking potential of the area and a shared vision to make Fort Berens into one of Canada’s leading producers of fine wine. With its vineyards on sage brush covered benchland along the Fraser River at the base of towering mountains, Fort Berens embraces the spirit of Lillooet. Discover Fort Berens Estate Winery, Lillooet’s first winery, in BC’s newest wine region and explore 150 years of pioneering spirit. For more information, call 1.877.956.7768, visit www.FortBerens.ca, or follow them on Facebook, Twitter and Instagram. High-resolution images from the competition can be found here.